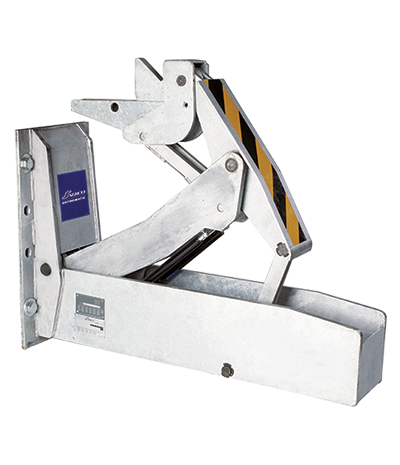 Trailer restraints are the most effective way to ensure the safety of your personnel against an unanticipated trailer departure. Sometimes referred to as truck restraints, rotating trailer hooks, or dok loks. No matter what you call it, our restraints are engineered to provide the highest level of safety for your operation. One of the most common causes of dock accidents is vehicles which are not properly secured before loading. Serco offers a full line of restraints that can make loading and unloading all kinds of vehicles safer for your workforce. Let's be honest, those wheel chocks can't stand up to the pull-out force of our restraints. The added safety and communication helps to ensure that your personnel go home safely at the end of the day. Serco truck and trailer restraints successfully integrate powerful and effective operation with instantaneous, clear, non-verbal communications systems for dock operators and drivers. The result is a new level of safety and enhanced productivity on the dock. To guard against premature departure, trailer creep and trailer walk, Serco has designed the PitBull Safety-Loc Series. The PitBull has a bite that locks on tight, engaging a trailer’s rear impact guard and securing it more effectively than rubber wheel chocks. Serco PitBull Safety-Loc restraints are most compatible with the new rear impact guards because of their non-impact, low-profile design. PitBull restraints are available in a variety of models to suit virtually any loading dock operation or configuration in the industry. Power: PitBull Safety-Loc series powered restraints provide automatic push-button activation with advanced electronics and standard LED communication systems for increased dock safety and security. Driveway or wall-mounted units available. Mechanical: PitBull Safety-Loc series mechanical restraints are manually activated and offer lower day-to-day operating costs, higher up-time performance and operational simplicity. 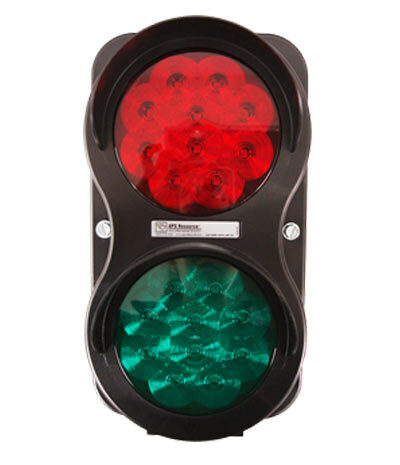 Some units can be combined with a light communication package for clear communication. No rear impact bar? No problem. 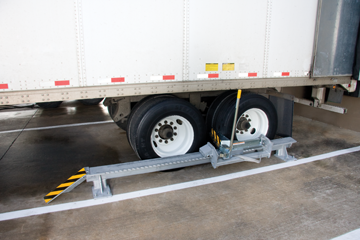 SIMPLE, SAFE & EFFECTIVE.Serco's Manual Safety-Chock provides loading docks with a cost-effective, versatile wheel restraint solution, and is capable of engaging and restraining the wide range of trailers that come to the dock, including trucks with lift gates, damaged Rear Impact Guards, or different axle configurations. Easy installation, simple operation and minimal maintenance provide a lower lifetime cost of ownership than other wheel restraint systems, and its ergonomic design enables easy maneuvering for accurate and reliably safe operation. Restraint controls easily integrated with 4SIGHTdock/yard management system. Optional 17' (5.2 m), 120-volt heat tracer cable helps clear snow and ice. The Serco Safety-Loc SLP Restraint is a hydraulically actuated, recessed, non-impact vehicle restraint ideal for new construction or remodeling applications. The SLP is installed in a pit under the leveler and, when retracted, offers a clean dock face, allowing unobstructed access to smaller delivery vehicles, trailers with hydraulic lift gates and an open drive for unimpeded snow plowing or drive cleanup. 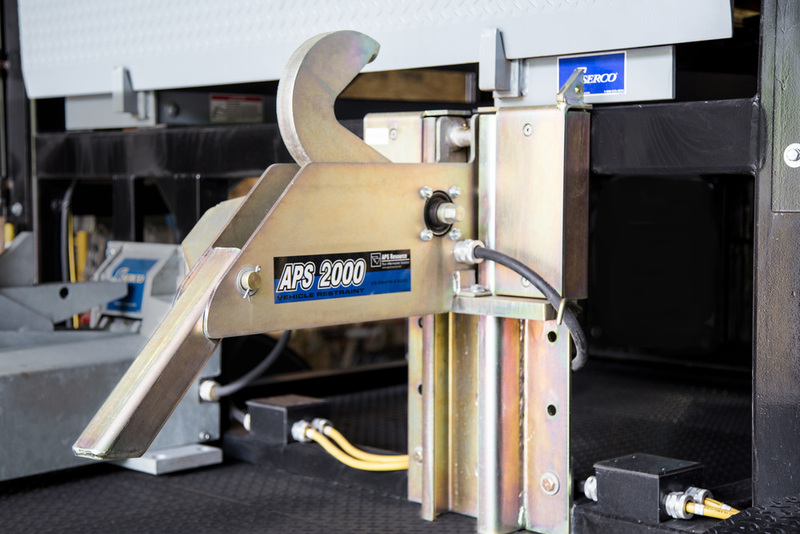 The hydraulically activated SLP effectively controls vehicle movement by grabbing and holding the rear impact guard throughout the loading/unloading process. We service all Dok Lok Restraints & equip our service fleet with a full range of Dok Lok (TM) parts. 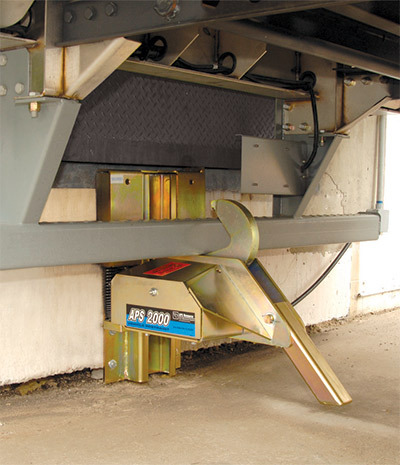 Find out how Rice Equipment can fully integrate every piece of equipment at your loading dock.